WebMeUp SEO Blog Want your brand on the front page of Google? Get on the Knowledge Graph! As an Internet marketer, you must have heard about the Knowledge Graph, Google's famous things-not-strings endeavor. It is thanks to the Knowledge Graph that one sometimes gets straightforward immediate answers to their questions. 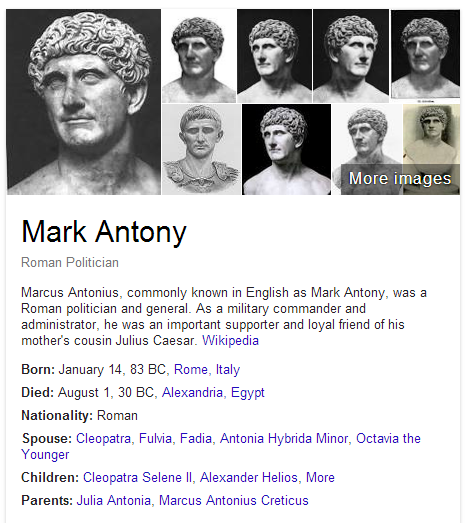 Now, imagine that Marc Antony is actually the name of your brand. Wouldn't your brand benefit from being immediately found on Google and getting such a loud introduction? Unfortunately, there isn't a magic button you can push to make the information about your brand appear on the Knowledge Graph each time someone searches for your company's name. However, there are certain categories of businesses that stand a fair chance of that happening provided they have a strong brand and are present on certain networks (we'll discuss this in detail further). If you run a local business, most likely you have made sure it shows up on Google Maps. You may as well have a Google+ Local or a Google Places page for it. Google may take information from any of these services to feed Knowledge Graph results for your local brand name (see the screenshot above). Mark's Daily Apple (a healthy lifestyle blog) is one of my favorite sites on the Web. I don't think I ever commented on any of his articles, but Mark definitely has my kudos for the stuff he publishes. 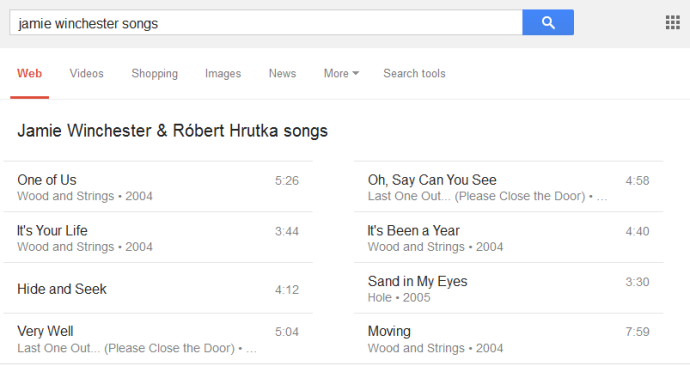 Musicians have recently been given a new way to promote their music, when Google began displaying song and album names as part of the Knowledge Graph results. If you click on a result, you'll get a YouTube video associated with it. 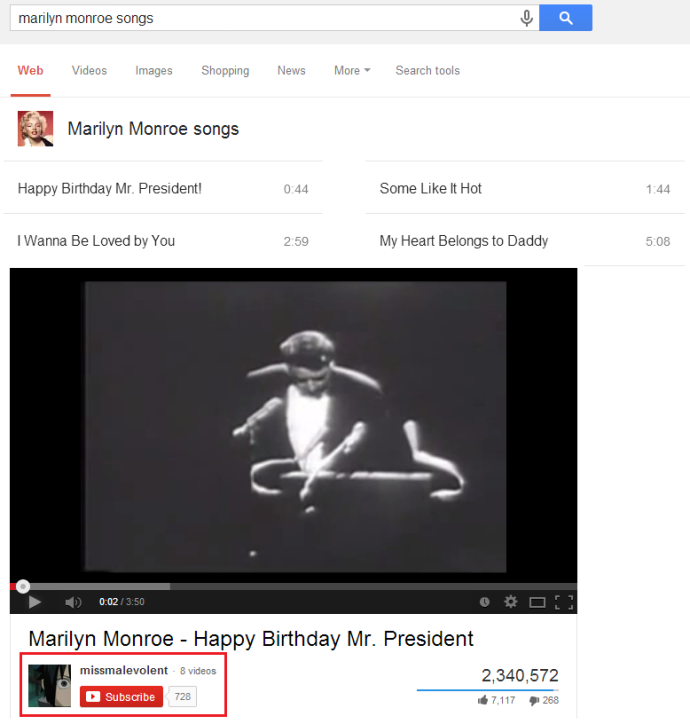 So, it appears that Google takes music-related data from YouTube in this case. And, if you have a strong personal brand (if you are a well-known author, director, public figure, etc. ), you have likely earned a Wikipedia article. This in turn means information about you will probably show up on Google's Knowledge Graph when someone looks up your name. Thing is, Google pulls a lot of data from Wikipedia (among other data sources) to provide Graph results. How does one appear on Knowledge Graph? While Google mostly collects data for the Knowledge Graph on its own, there are ways to (A) make sure the search engine doesn't miss out on any information about your brand and (B) ensure it actually appears as a Knowledge Graph result when someone searches for your brand online. Here are some steps any brand could take to maximize its odds of getting featured on Google's Knowledge Graph. Regardless of which business you run, creating a Google+ page for it (that works like a Facebook fan page in many ways) will help you get the information about your biz on the Knowledge Graph. Just pay attention to the first step when creating your listing and choose the most suitable category for your biz. Also, make sure that the name of your Google+ page coincides with the brand name people will use when searching for your company online. And, Google will be more likely to provide a Knowledge Graph snippet for your brand if you have strong Google+ presence: if people are willing to circle your G+ page, share and +1 your posts, etc. 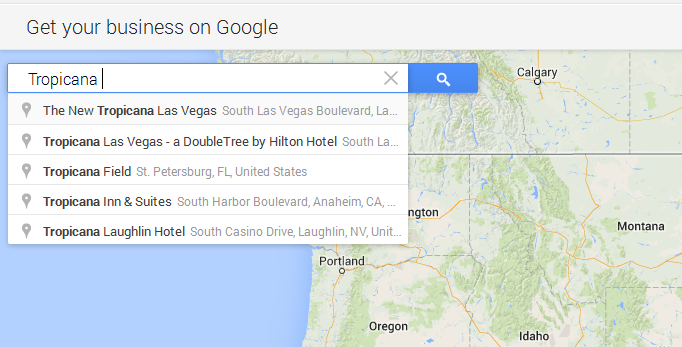 If you are a local business and you don't know whether Google has already listed your establishment on Google Maps, Google+ or elsewhere, you can try to create a Google+ Local page for your biz anyway. Just choose 'Local Business and Page' at Step 1, and you will be prompted to search for the name of your company to see if it's already been listed. If it hasn't, click the Let me create my business link that will appear after you click Search. If you do manage to find an existing listing for your biz, Google will likely offer you to verify ownership over that listing by phone or by postcard (that will be sent to your address). What helps local businesses appear on the Knowledge Graph is getting reviewed and rated by Google+ users as well as third-party review sites (Yelp, TripAdvisor and others). So, encourage your customers to rate and review your business – this will reinforce your brand's standing with Google. If running your business supposes creating any multi-media content, consider setting up a YouTube channel to host it. Although there are some pros and cons in posting your videos to YouTube vs uploading them directly to your site (you can do both, by the way), YouTube opens many opportunities for online promotion mostly thanks to its huge user base, and it being plugged in into other Google products. YouTube is particularly critical to artists/musicians. As I said earlier, Google replies on YouTube to pull data for Knowledge Graph results related to music pieces. By the way, song info is not always extracted from your official YouTube channel – it's often taken from vids for which you’re identified as the Artist (YouTube performs the majority of these identification algorithmically). The primary source of Google's Knowledge Graph information is a database of entities and topics known as Freebase. It collects facts about real-life people and objects from reputable website such as Wikipedia, Open Library Project and many others. At the same time, it's open-source and anyone can contribute to Freebase if they'd like – thus helping the necessary and accurate information about their biz show up on the Knowledge Graph. To check if your company is listed and/or to add info about it, go to Freebase.com -> follow the link in top right corner to Sing in or Sign up for the service - > use the search window to see if the listing already exists. If no listing is found, add one by heading to one of the Domains mentioned below. 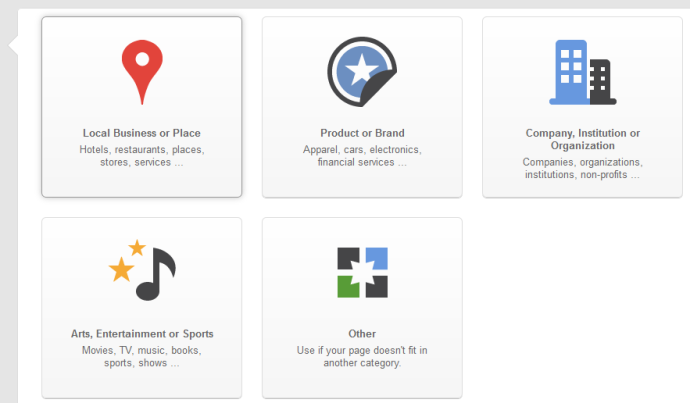 For example, if the entity you would like to enter is a brand, you can choose the Business category. If it's a public person, you can enter it into the People section. And, last but not least, is the use of structured data. What is structured data? It's semantic markup formats (such as Schema.org, OpenGraph templates, Microformats and others) that help search engines better understand the meaning behind the words on your page – hence 'semantic markup'. By marking up such parts of your content as images, videos, information about people, authorship, and other info, you help Google accumulate data about your brand to potentially display it on the Knowledge Graph. By far not all brands utilize the power of the Knowledge Graph yet. So, if you do get your company on the Graph results ASAP, this could make you stand out among the competitors and help position your business as a strong brand. By making sure you cover all these bases, you're likely to give your brand extra zoom-in in Google's search results. Are you familiar with other ways of getting a company on Google's Knowledge Graph? Do share your insights in comments!